“The first thing I will to say about the redesign of the newspaper “IMAGEN”, is that having hired Gabi Schmidt was a success, because not only the paper was redesigned, but we modified ways of working that are now helping to give the reader better information, making a better paper and better journalism. I believe that, from the beginning, Gabi Schmidt had the great ability and skills to integrate a compact design team, and make them understand where the redesign was heading towards. Then she unified them with editors of the newspaper and made a more integrated team, which produces much better work, since now, the editors are collaborating with designers. Lic. 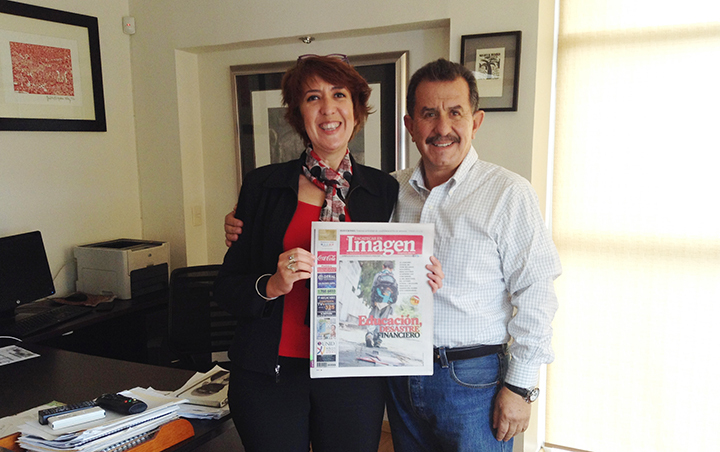 Luis Enrique Mercado, Director General, opina sobre el Rediseño de "Zacatecas en Imagen"